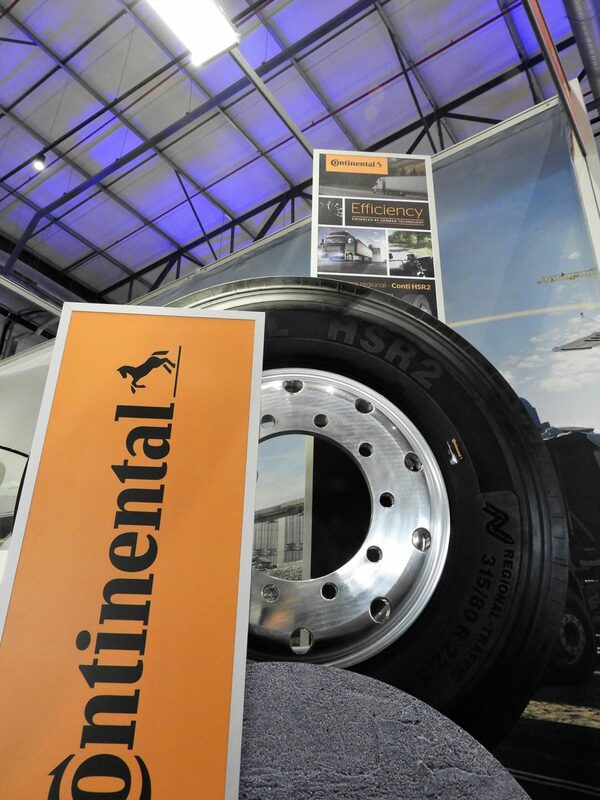 As one of the world’s leading manufacturers of commercial vehicle tyres, Continental had a strong presence at the recent TruckX Conference & Expo held at the Kyalami Grand Prix Circuit in Midrand. As the transport, logistics and fleet industry’s annual showcase event, TruckX gave Continental Tyre South Africa (CTSA) the ideal opportunity to display its extensive range of world-class products to commercial truck and fleet customers, from its industry-leading range of truck and bus tyres to pioneering fleet solutions and innovative technologies. “Continental enjoys a proven reputation as one of the leading tyre manufacturers amongst small, medium and large fleet operators thanks to our comprehensive portfolio of tyres that are specially developed for all types of commercial vehicle applications,” says Warrick Rainsford, National Sales Manager for the CTSA Truck Tyre Business Unit. “Our tyres are designed to deliver exceptional performance, efficiency, endurance and safety, all of which are critical aspects of running a successful truck business in today’s extremely competitive business environment. “Beyond the outstanding range of tyres available, Continental offers customers an extensive range of solutions under the Conti360° Fleet Services banner, combined with pioneering technologies that assist operators in managing their fleets, ensuring they run as efficiently as possible and reduce costs,” Rainsford adds. Conti360° Fleet Services is designed to meet the client’s specific needs and enable them to achieve the lowest overall driving costs. As the name suggests, it offers an all-encompassing range of services for fleets, from perfect selection of tyres for each application through correct fitting, ongoing monitoring and reporting, fast response in the event of a tyre breakdown to the proper handling of worn tyres. The system uses sensors fitted inside each tyre to provide drivers with real-time information on tyre status via an on-board display. It is suited to almost any combination including buses, coaches, single axle trailers or even six-axle tractor/trailers with a maximum of 24 tyres. Any irregularity noticed by the driver or fleet manager can be checked and corrected immediately. ContiPressureCheck can be easily integrated into existing telematic systems, allowing owners and fleet operators to view live inflation pressures and temperature data, as well as to receive real-time alerts. Aside from the benefits of reduced costs and downtime, ContiPressureCheck makes a significant contribution to driver and vehicle safety, and bolsters Continental’s Vision Zero strategy – a comprehensive approach to automotive safety. This long-term global programme combines Continental’s various automotive divisions, along with strategic partners, to develop solutions to reduce and eventually eliminate road traffic collisions, injuries and fatalities. The initiative is driven by the Continental Group’s leading status as one of the world’s largest tyre and automotive safety systems manufacturers across all segments, including the all-important truck industry. Driver assistance systems developed by Continental are integral towards reducing road accidents – especially in the truck industry due to the many hours spent on the road. Lane Departure Warning (LDW) systems have been prescribed across the EU and Japan for all new models of truck over 3.5 tons and for buses with more than eight seats. With both markets supplying a significant proportion of the trucks and buses imported and sold in South Africa, it’s an important technology that is becoming increasingly prevalent locally. It plays a vital role in reducing accidents resulting from driver fatigue, one of the leading causes of accidents. LDW relies on forward-looking cameras or infrared sensors mounted beneath the vehicle, enabling warnings to be triggered for the driver when the truck begins deviating out of its lane. Lane Keeping Assist (LKA) goes a step further by intervening moderately in the steering of the vehicle, thereby enabling a faster response time.